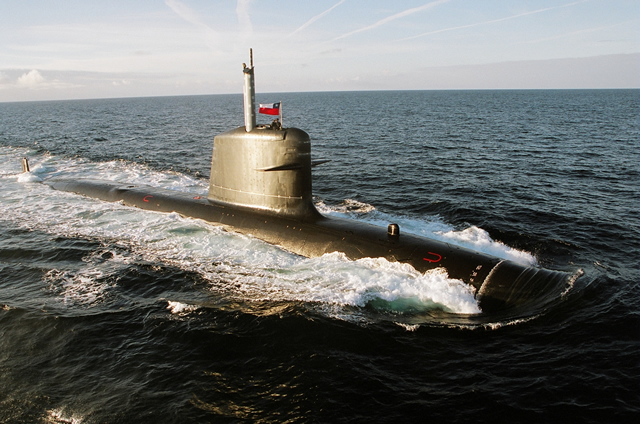 Scorpène submarines are designed in order to maximize stealth and feature very low acoustic, magnetic, electromagnetic and infrared signatures. To achieve this goal all machines and equipment are resiliently mounted on flexible couplings with double elastic mountings. Further noise-reducing focus includes the use of flexible cables and flexible through bulkhead couplings for joining pipes, and special low-noise emission components for rotating machinery. 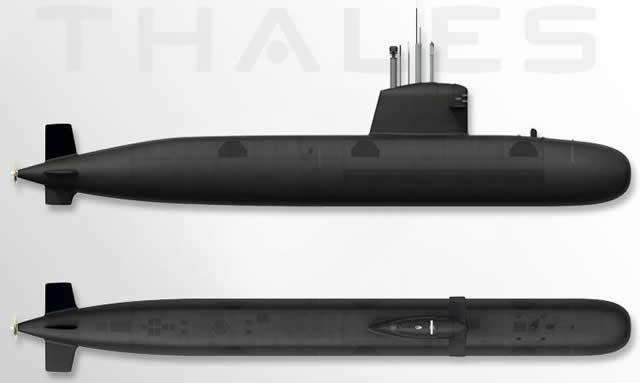 Pressure hull is made of HLES 80 steel permitting operating depths to 350 m. Some Scorpènes are fitted with two sets of Hagen batteries (depending on customer) totaling 360 cells. All machinery is “rafted” for sound isolation. The lower rudder is shorter to allow for “bottoming” on the sea floor. 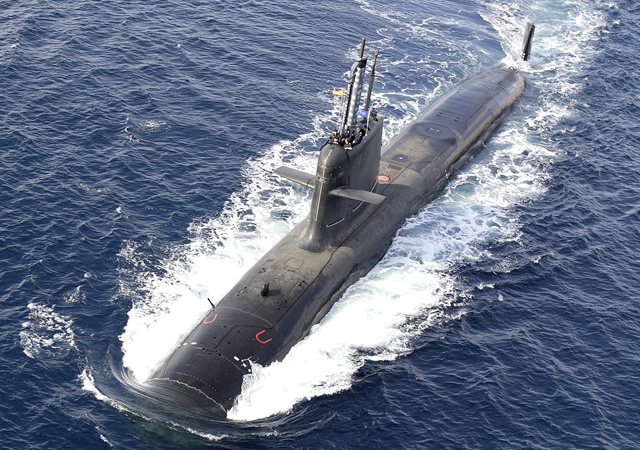 DCNS also offers Scorpène with an X-Rudder configuration like on Barracuda SSN. The casing and sail are fabricated from GRP. 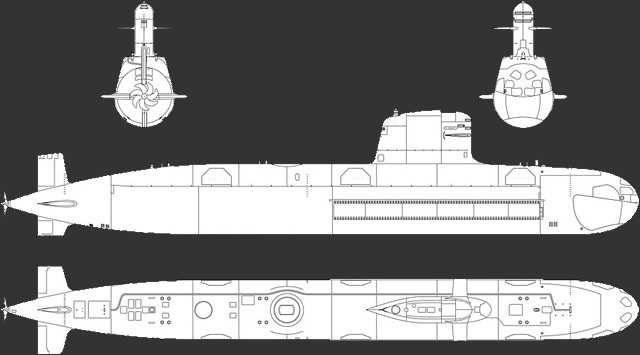 » The bow section contains 6x 533 mm torpedo tubes, weapon magazines (allowing the class to carry up to 18 torpedoes and anti-ship missiles), the batteries and two ballast tanks. 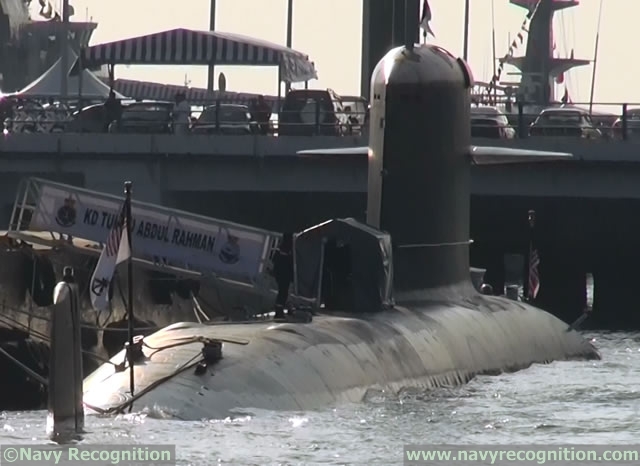 At least two of the torpedo tubes are fitted with a pneumatic ram positive discharge system for the launch of SM 39 antiship missiles and torpedoes. Depending on variants, the other tubes are of the swim-out variety. » The midship compartment houses control room, accommodations, header tanks and auxiliary systems. » The stern compartment houses the machinery and a second set of batteries. The stern compartment is fitted with two ballast tanks as well. 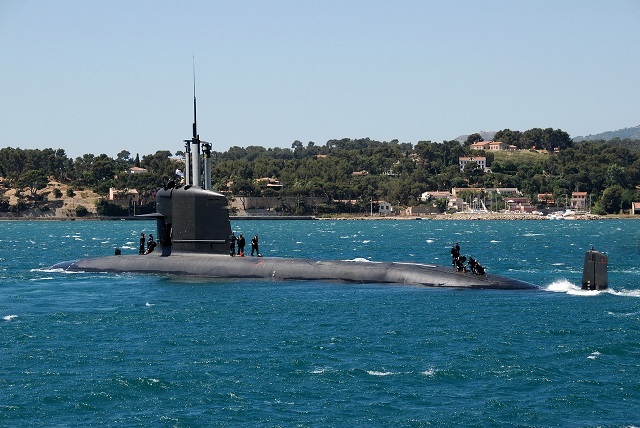 Equipped with the MESMA air-independent propulsion system, the Scorpène can remain submerged for periods in excess of 3 weeks. 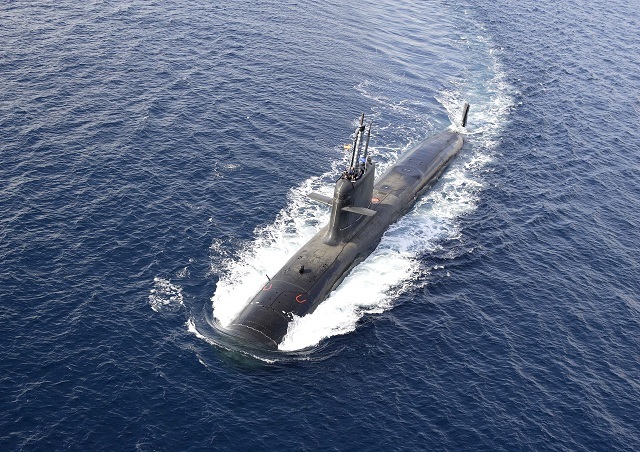 The MESMA AIP (Autonomous Submarine Energy Module) is an electrical energy production module designed specifically for conventional submarines. 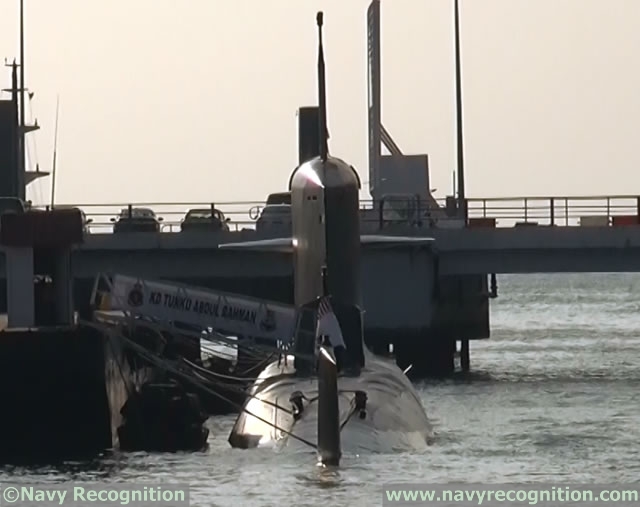 As well as supplying electricity to the vessel and to the propulsion system, it can also be used to recharge the batteries without the need to come back to Periscope depth. 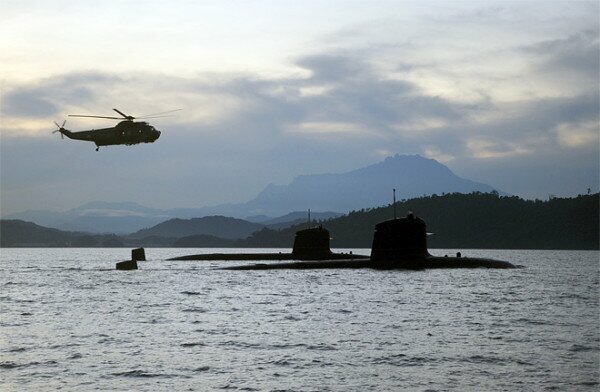 The MESMA AIP quadruples the underwater range of a conventional submarine, which significantly extends its scope of action and enhances its stealth performance.